This suit is the one with full length legs. 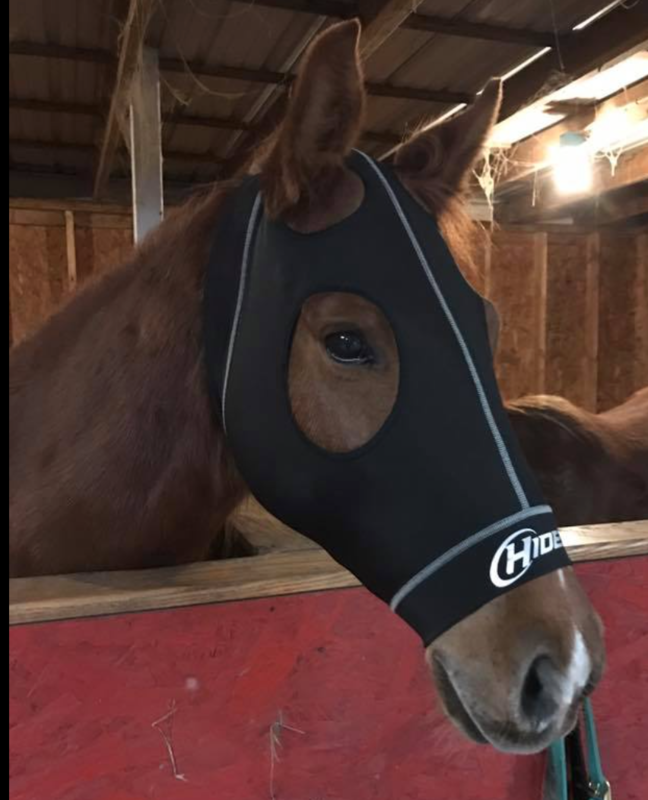 This is Hidez main product and the one that will give the most benefits to include: aiding horses to recover from work or injury/operations, aids in prevention of tie-up, muscle fatigue, swelling in the legs, muscle damage repair. 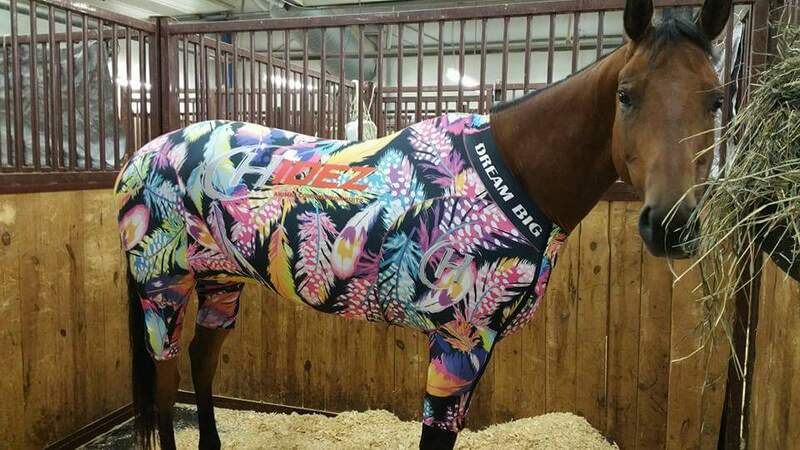 The suit helps the horse maintain its core body temperature, detoxification, relaxation and general well being. 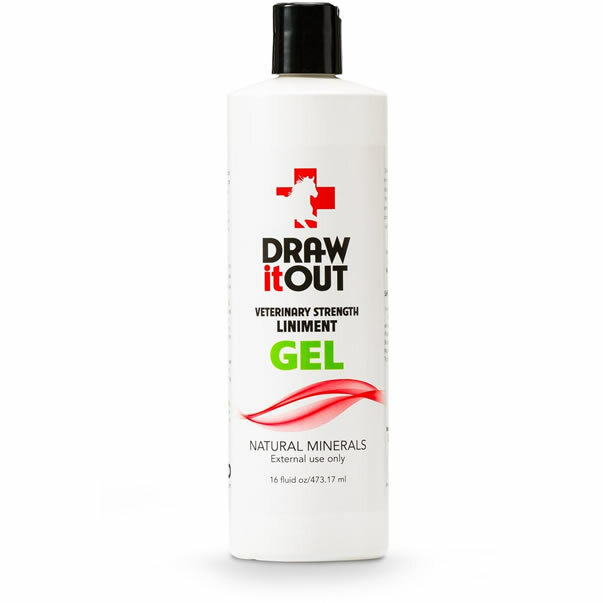 Gives the horse the feeling of a gentle massage. Horses are reported to not only travel long distances without much fatigue, but also to eat and drink better. This is due to the release of toxins while wearing the suit, which encourages the horse to replenish their bodies. Neck and Mask also available for purchase. 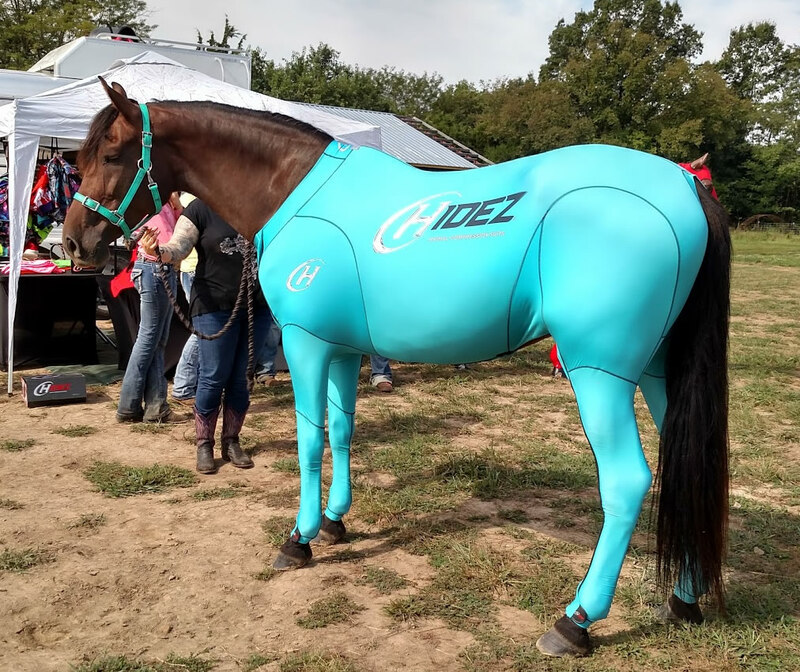 To Obtain the correct Hidez suit size for your horse, simply measure the height of your horse from the ground level to the highest point of the horse's withers. See the sizing chart and directions here if you are unsure on how to measure your horse. 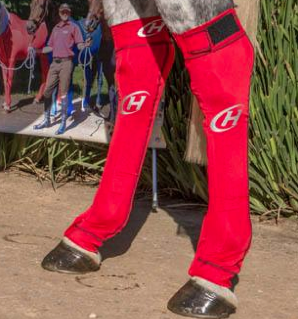 For girth measurement, please provide the measurement around the horse's girth (in the area where the cinch rides) in either CM or Inches, in the area provided.